😉 Rachel, please shoot me an email with your mailing address. I have had very little time for any crafts so far on this long weekend. Funny, that was all I really had planned. But, then the mess in the garage started calling my name. And, I realized that 6 months of not hanging my pictures in my home is a bit long. So, that’s what I did today. I hung lots of kids pictures and the art and photographs that I have collected over the years. I also hung some of my autographs. 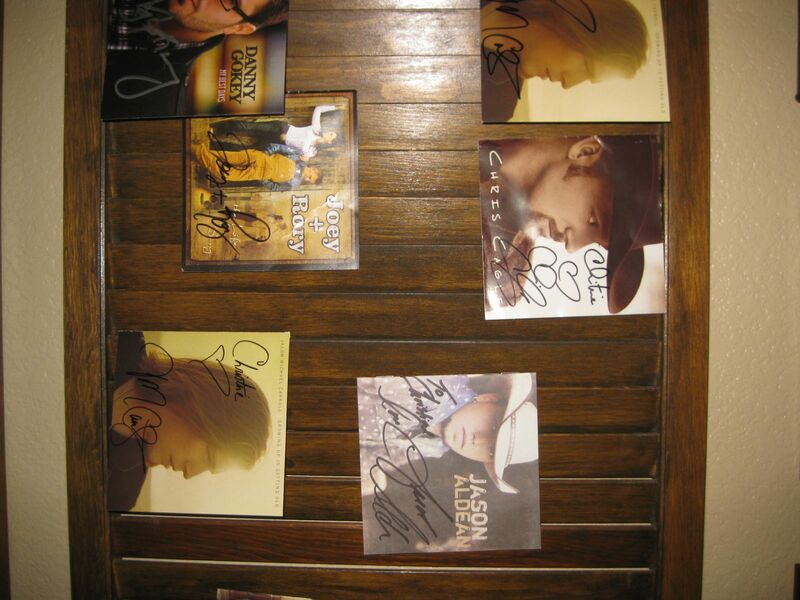 I am a total nerd when it comes to live country music and I have stalked met lots of these artists, including Chris Cagle, Rascal Flatts, Jason Aldean and Jason Michael Carroll. All of these guys (and girls) that I’ve met have all been so nice. I figured that it was time to bring these out of hiding so that they can be enjoyed. 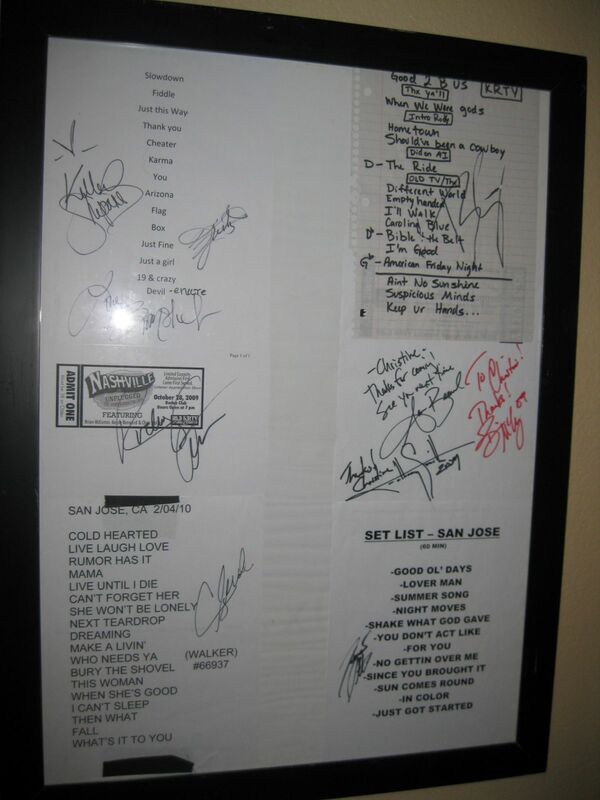 Some of my signed playlists went into a large poster frame. I also found some cool saloon doors at the Habitat For Humanity ReStore. 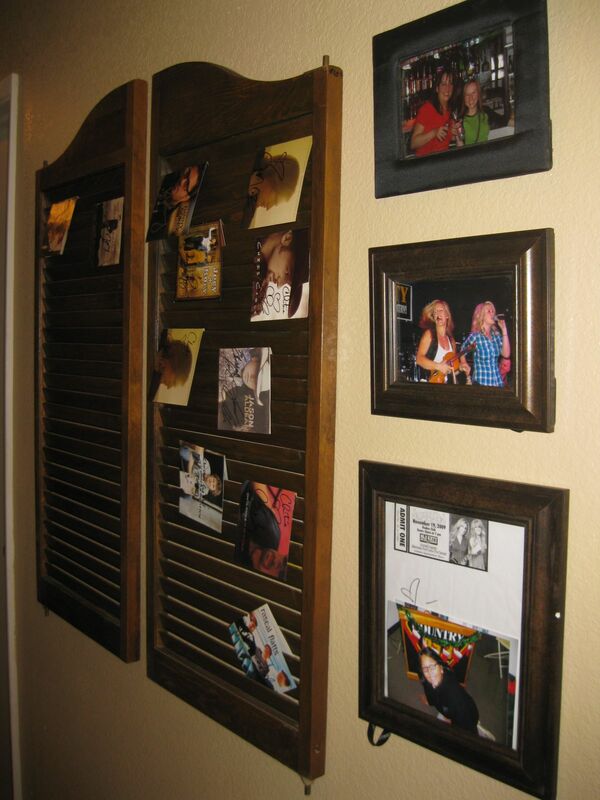 I hung these doors and hung my signed CD inserts on the slats of the doors. Notice the end of the hallway. This is my laundry area. 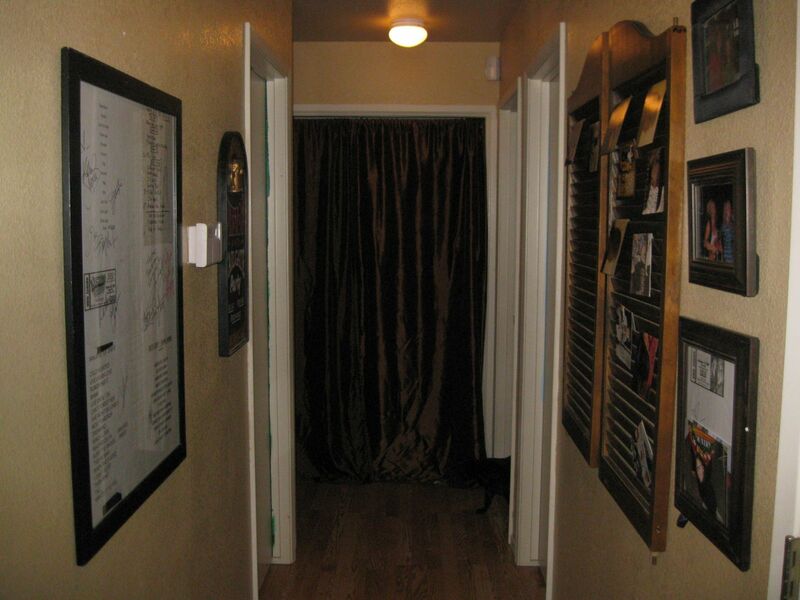 The doors were way too awkward so I removed them and hung these awesome brown curtains. Is anyone else as nerdy as I am?